If you’ve suffered an auto accident or personal injury in Bowie, MD, you need a reputable auto accident lawyer or personal injury attorney to advocate for you. The team at The Jaklitsch Law Group allows you work with a qualified and adept auto accident attorney in Bowie, MD, so you can have access to the best legal representation available. 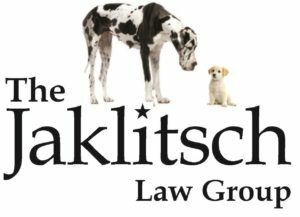 The Jaklitsch Law Group has been recognized every year by Super Lawyer Magazine, is a Charter Member of “Best Attorneys of America” and is Listed as “Best Lawyers in America”, “Best Law Firms in American”, and “Best Lawyers in North America”. You can also work with our wrongful death attorney in Bowie, MD, if a loved one passed away due to a medical professional’s negligent or purposeful actions. Get in touch with us to take advantage of our legal expertise and to start fighting for the compensation you deserve. Auto accidents, including trucks, cars, trains, motorcycles, and bicycles. Click here for more information. We’ll pair you with a car crash attorney, truck accident lawyer, wrongful death attorney, or another legal professional suited to your specific case who is nationally recognized.